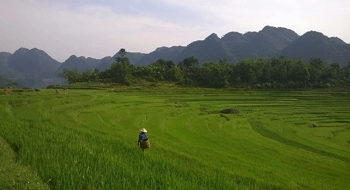 This travel in Vietnam: Hanoi, the Duong Lam village and Mai Chau valley does not look for comfort but these great moments are reserved to contact with the two peoples around the Hanoi capital. These are Viet and Thai peoples. 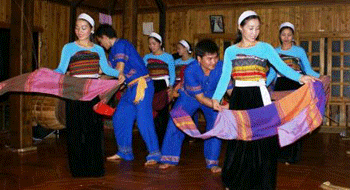 Duong Lam ancient village of Viet people where you will discover their cultural, religious and administrative institution. 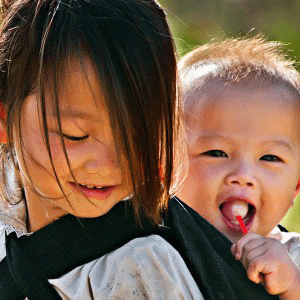 You will see the changes between the old life and the actual life of a Vietnamese village in its history. 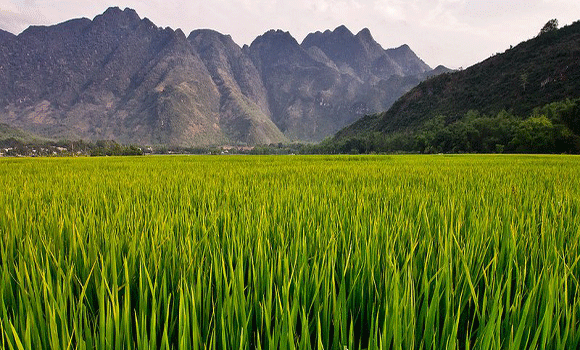 Mai Chau: This is a beautiful valley in north of the country where you will learn about the culture of the Thai people by participating in activities: Walking, cycling, nights in homestay, cooking classe…which are the opportunity to plunge into the life of the people. Pick up at your hotel to go Duong Lam village. 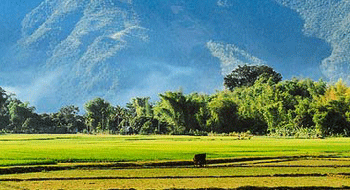 Located in the heart of the Red River Delta, Duong Lam is one of the oldest villages of Viet people. Walk to see cultural, religious, administrative institutions of Viet people: Mong Phu Temple classified as National Heritage, Mia Pagoda or a museum of Buddhist statues classified as National Heritage. Go through the village with the stop in market, traditional village bar for contact with the local population. After breakfast, bike ride to visit the different villages of Mai Chau. You will cross the valley covered by the endless greenery. 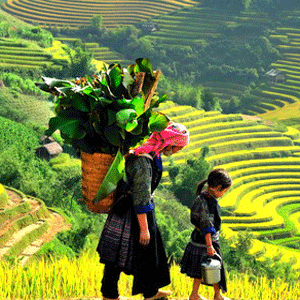 Do not miss the scenes of everyday life of people in the mountains of Vietnam. Back to the family for the rest, lunch...before a quiet walk in Mai Chau in the charm of pastoral scenery. A pleasant memory of your travel in Vietnam. Night with the family. 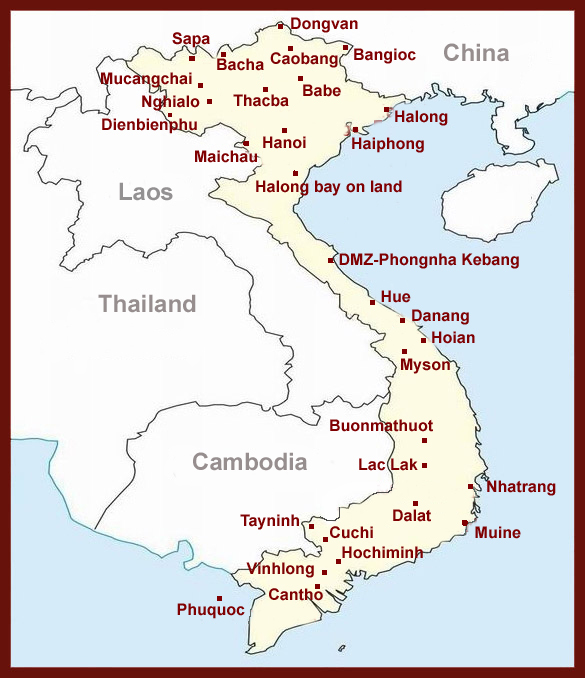 Transfer by road to Hanoi. Stops at pleasures for photos. Upon arrival, free time. End of tour program of this travel in Vietnam.